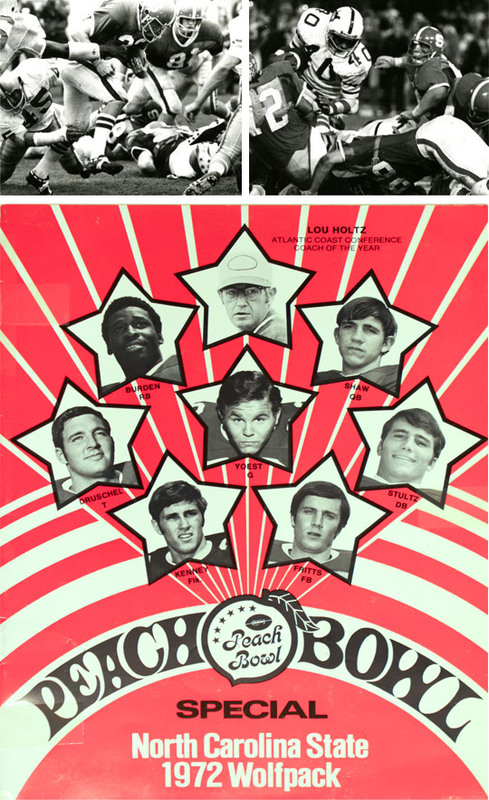 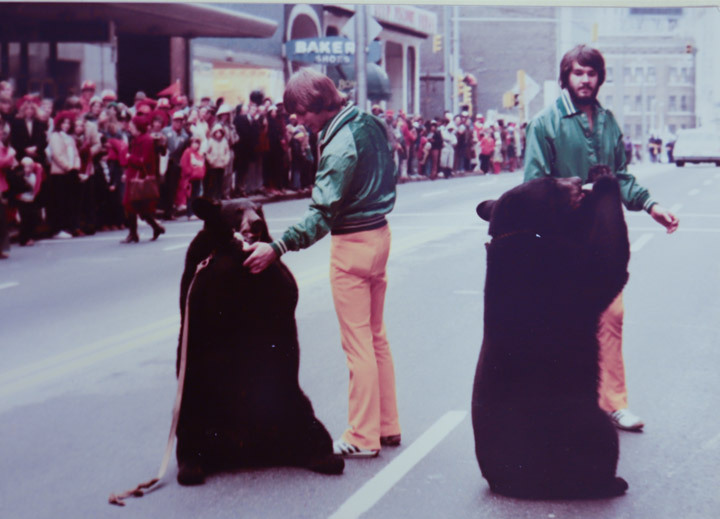 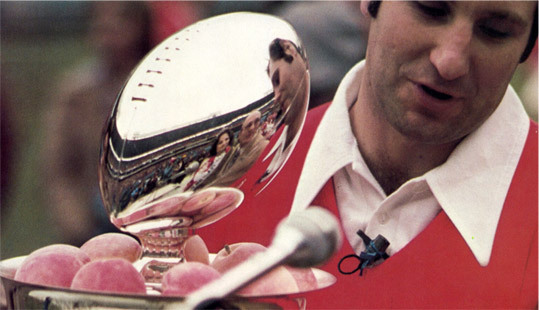 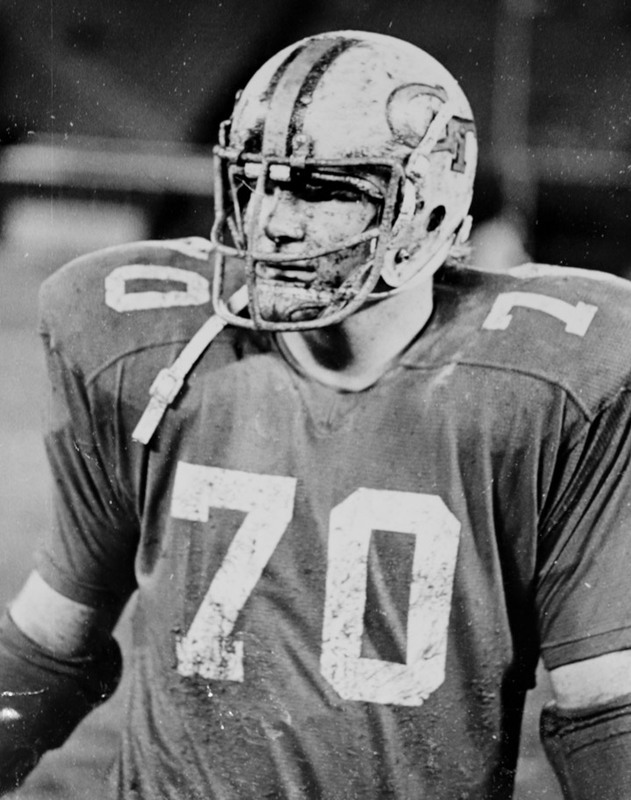 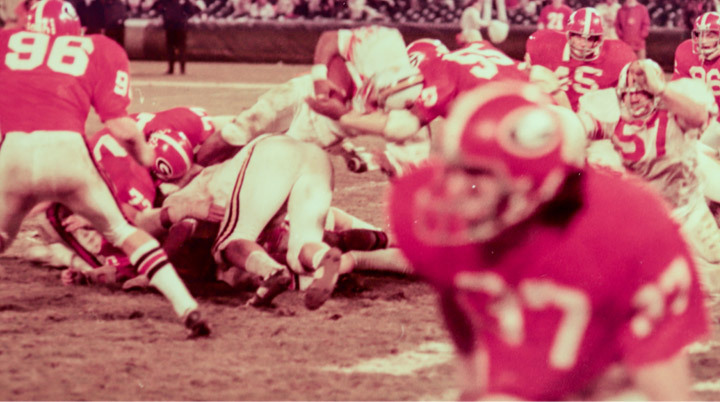 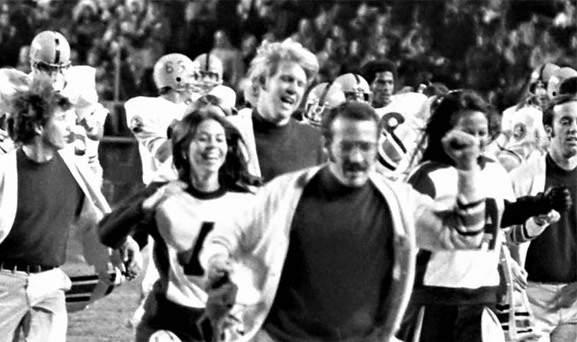 After the Peach Bowl burst onto the scene in the 60’s, the 70’s were all about building momentum. 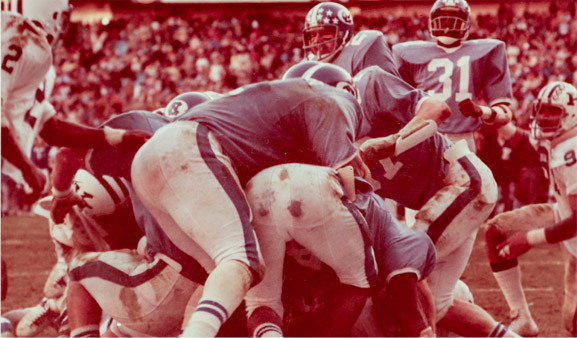 A full decade of hard-fought football proved the game was no flash-in-the-pan. 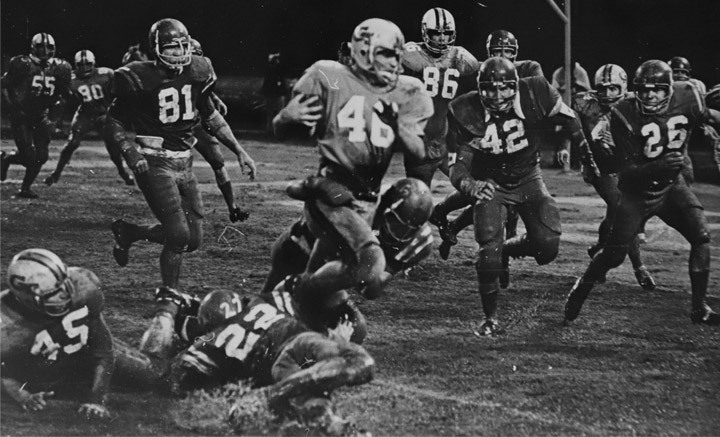 It was an annual tradition that soon outgrew Grant Field. 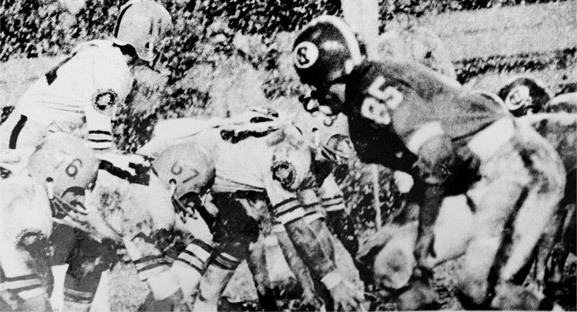 The Sun Devils battled through blizzard conditions on their way to a perfect season, torching UNC with a 27 – 0 second half. 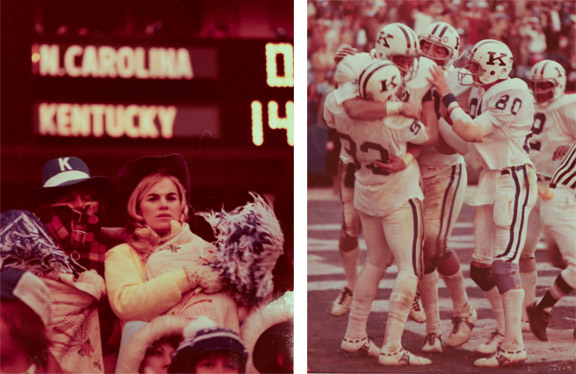 Arizona State flew across the country just to be welcomed with frigid temperatures, sleet, and snow. 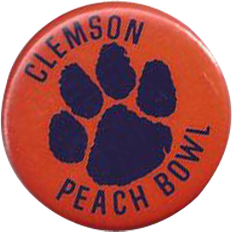 This was their first and (maybe not coincidentally) only Peach Bowl appearance. 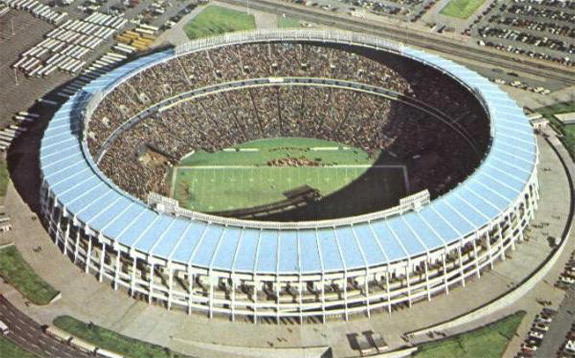 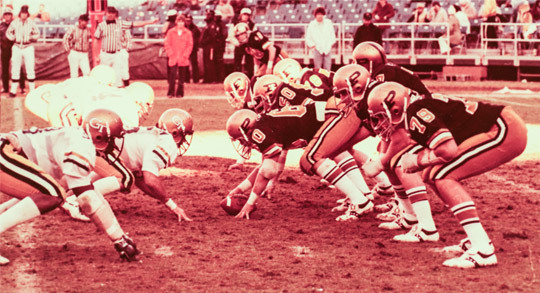 The Fiesta Bowl was founded that very offseason—to be played until 2006 at the Sun Devil’s snow-free home stadium. 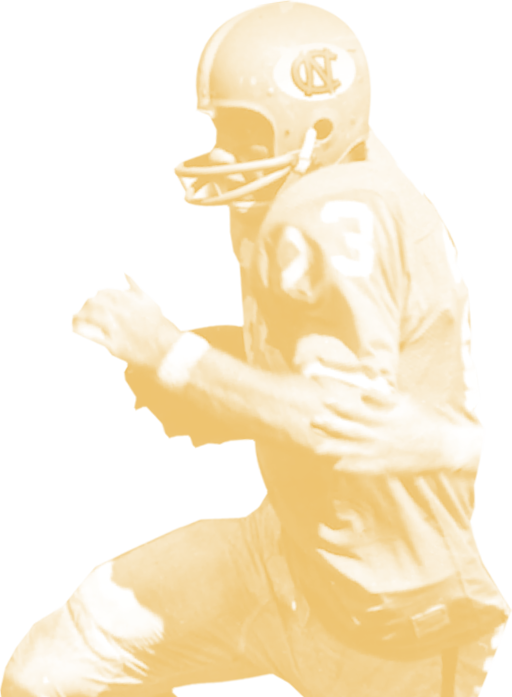 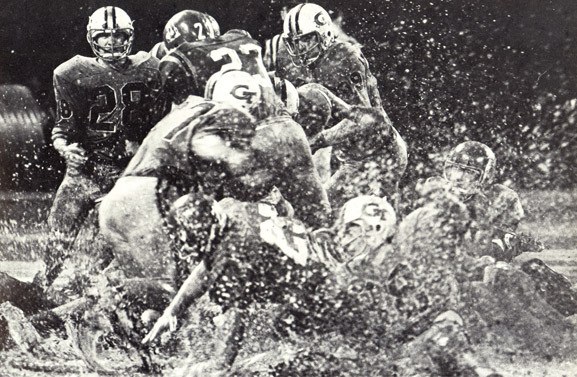 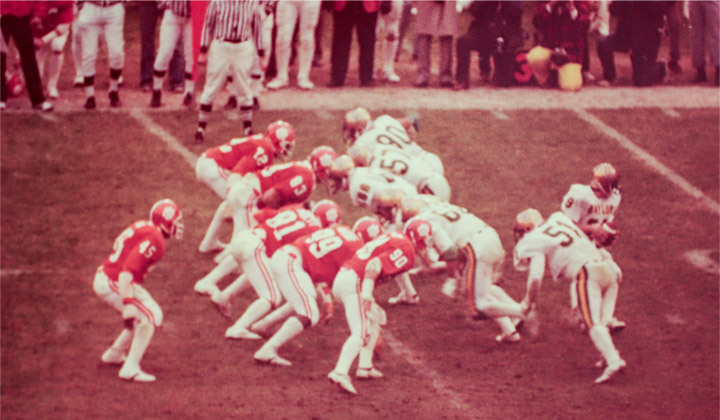 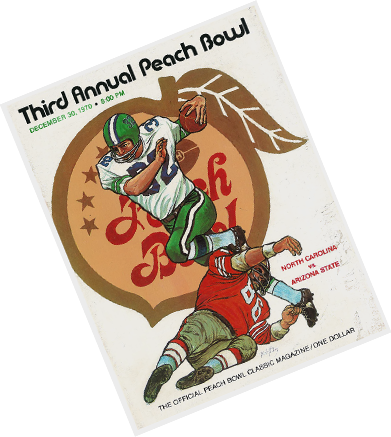 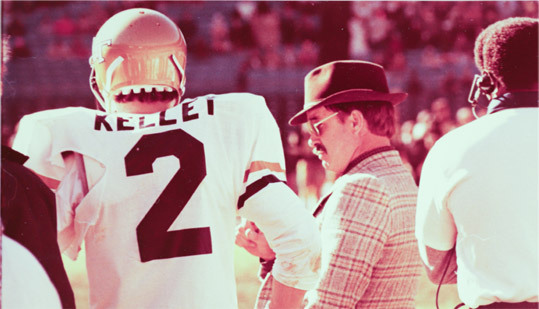 The first clear-skied Peach Bowl saw the Lou Holtz-led Wolfpack blow out the 1969 Champion Mountaineers. 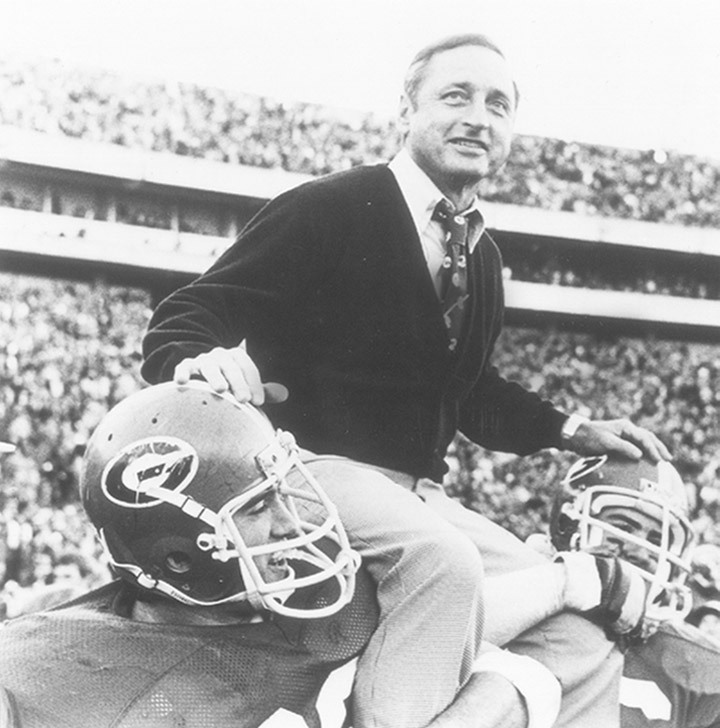 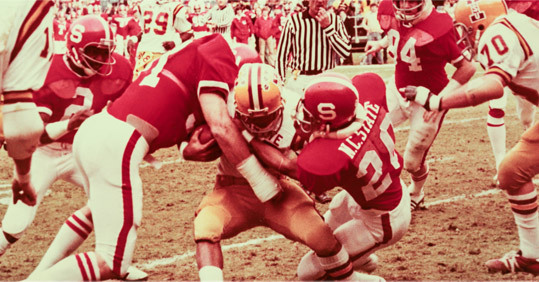 Vince Dooley’s Bulldogs gave the state of Georgia its first Peach Bowl win behind a tenacious defense. 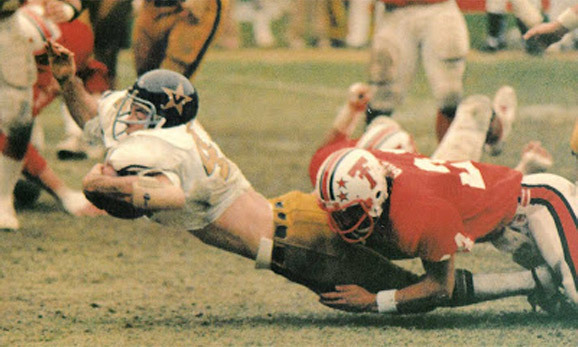 Both Vanderbilt and Texas Tech converted only two field goals each—the Red Raiders had a third attempt blocked by Vandy’s Dennis Harrison, defensive MVP of the game. 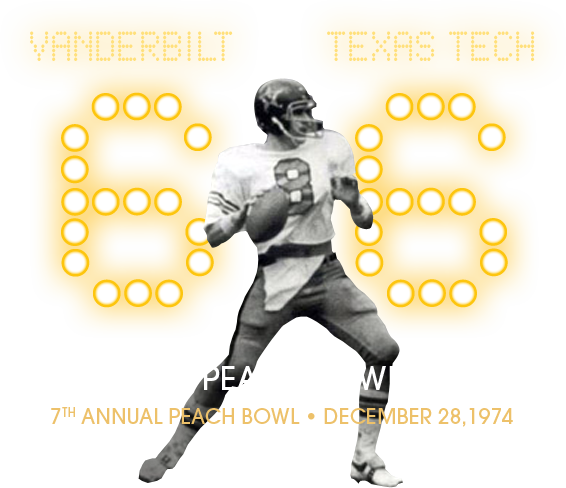 Following the game, Vanderbilt coach Steve Sloan shockingly jumped ship to coach Texas Tech. 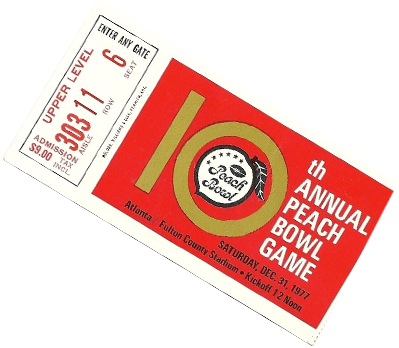 West Virginia made their third Peach Bowl appearance, avenging a 1972 loss to NC State with a 50-yard touchdown pass in the fourth quarter. 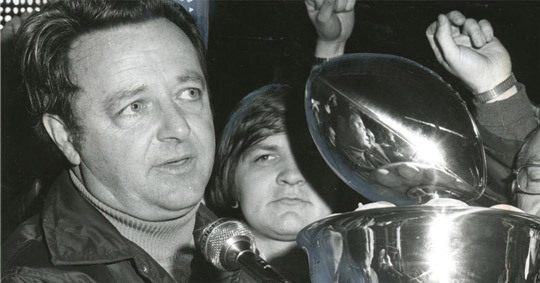 West Virginia coach Bobby Bowden left for Florida State following the 1975 Peach Bowl.  the first and only shutout in Peach Bowl history. 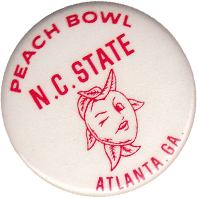 NC State rushed to a 21 – 0 halftime lead behind the second 100-yard Peach Bowl performance by tailback Ted Brown. 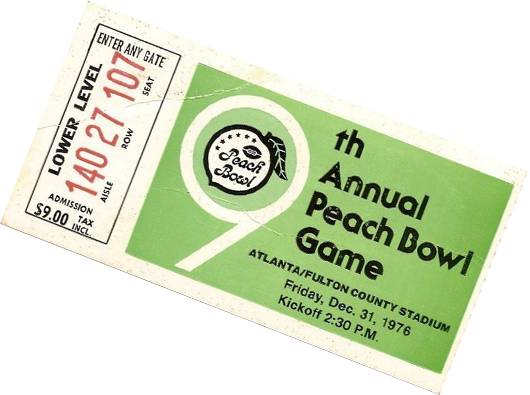 It was the most wonderful time of the year for Purdue fans, as the first and only Christmas Day Peach Bowl turned into a Boilermaker blowout. 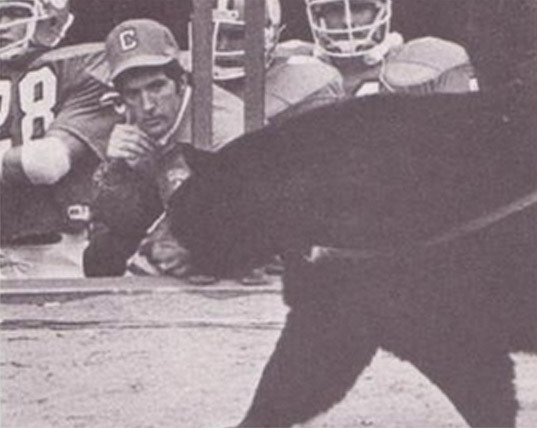 Tigers and Bears, oh my. 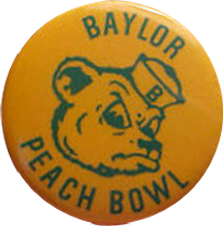 A lively crowd of 57,321 fans turned out to see freshman QB Mike Brannon and two blocked punts lead Baylor to victory.